A solid roof above your head is a comforting thought. You and your loved ones are safe from the variations of weather. Roofs, like anything else good in life, don’t last forever. Depending on the material used in your house’s roofing, the lifespan will vary. Typically, an average asphalt shingle should last about 25 years, while an average wood shingle will give five to ten years’ worth of service. This article aims to highlight some obvious signs that your house needs a new roof. It’s time to call the professional roofing company. The thing about roofs is that they need to be resilient. Roofs should be tough and be able to withstand all manner of conditions. Eventually though, a roof will give in to age and that is when you need to identify the need for a replacement in the nick of time. Your roof may look just okay, but if the service life has been reached, several issues such as leaking and others may be witnessed. Below are some tell-tale signs that your roof has reached the end of its service life. Missing shingles. Replacing a few missing shingles sounds like a normal activity now and then right? 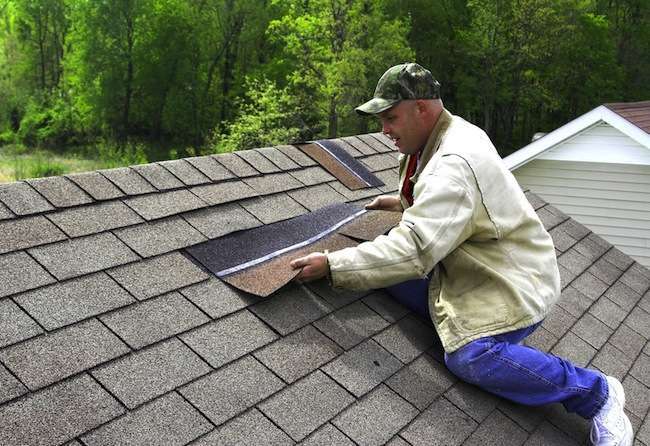 Nothing is wrong with replacing a shingle or two. However, you need to consider the need to replace your entire roof. New shingles will not always match the color of the original shingle. If your roof is starting to look like a checkerboard, it’s a sign from the gods, it’s time for a new roof. Your roof shingles are covered in moss or algae. Usually not a reason for immediate panic, moss and algae may only initially pose cosmetic concerns. In the long run however, you might want to replace your roof with algae and moss resistant roofing materials. Curled shingles. Curly is a problem common with wooden shingles. Curling attributes to weathering and may occur in two ways, the first is clawing where the edges stay flat and the middle appears raised. Second is cupping where the shingles edges curl upwards. Both instances can cause leaks and the need to replace your roof is imminent. Roof sagging. This is the ultimate sign that you need to replace your roof. This should be a cause for panic as the risks here include the whole roof or part of, coming down on you or your loved ones. Past a specific age, roofing materials will require replacement. Nothing lasts forever. In conclusion, don’t wait until a major incident occurs that will make you consider calling the professional roofing company. Sometimes a roof may approach the end of its service life without any signs of aging or damage. The signs may be subtle, but keep a close watch. Early determination of the need to replace your roof will save you any rude shocks down the road and give you plenty of time to budget for a shiny new roof.